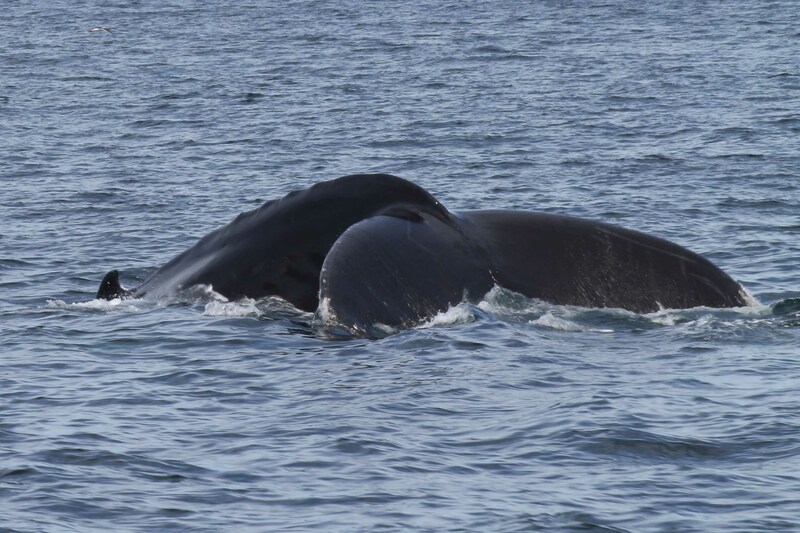 A friend and I took advantage of a LivingSocial deal to go whale watching up in Gloucester with 7 Seas Whale Watching. 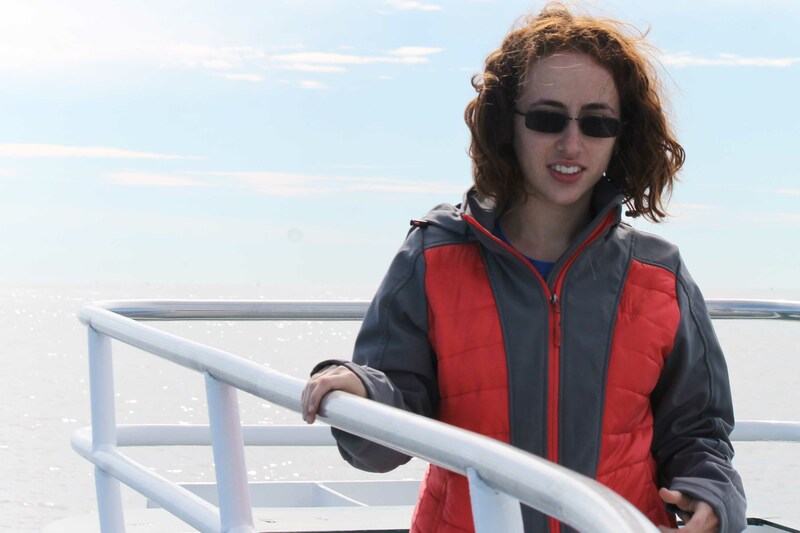 It was most excellent and I would recommend them: they lost our reservation but were super nice and efficient about fixing it; the captain and crew were friendly and informative; and they do work with local researchers to help the whales. We also took the early morning ride, which meant that we were up at 6:30 am to get there on time, but it was completely worth it – it was not crowded, the lighting was brilliant, and we got off just in time for a delicious seafood lunch. This is my friend Anna, who is often a fellow adventurer! She hasn’t shown up on my blog yet because I haven’t liked any of the pics I’ve taken of her (sorry, Anna, it’s me, not you!) but I finally snapped a good one. Meet Diablo, who is a baleen whale, if I recall correctly (big if! I was very excited and not listening too well). 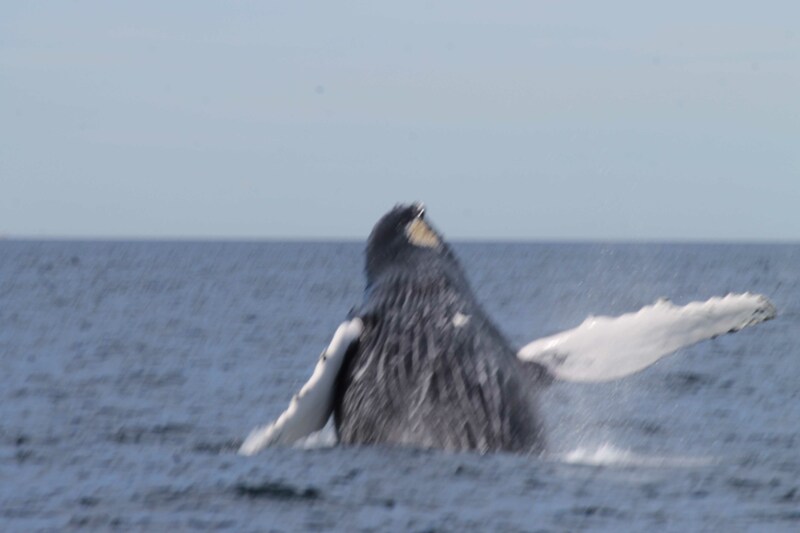 She was very close to the boat – and actually swam under it at one point – and was just spectacular to watch. Diablo diving for food. All that plankton and/or small fish – yummy! So – Diablo breached the water. And because my camera can’t focus very well on the water, I had it on manual focus, which I was doing really well with, with except at this one point, at which I was so excited that my finger slipped and knocked the three pictures I got of this incredible, somewhat rare event that out of focus. Le sigh. It was nevertheless an amazing sight. Diablo splashing back into the water. Notice how nicely focused this picture is. And slapping her flipper on the water. 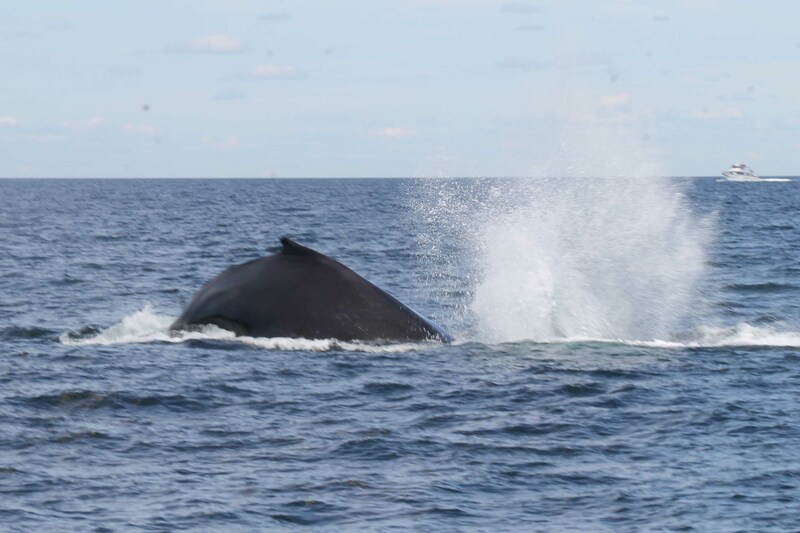 Most of these behaviors are for the sole purpose of catching fish – the whales around here only feed for half the year before heading towards warmer waters, where they don’t eat. 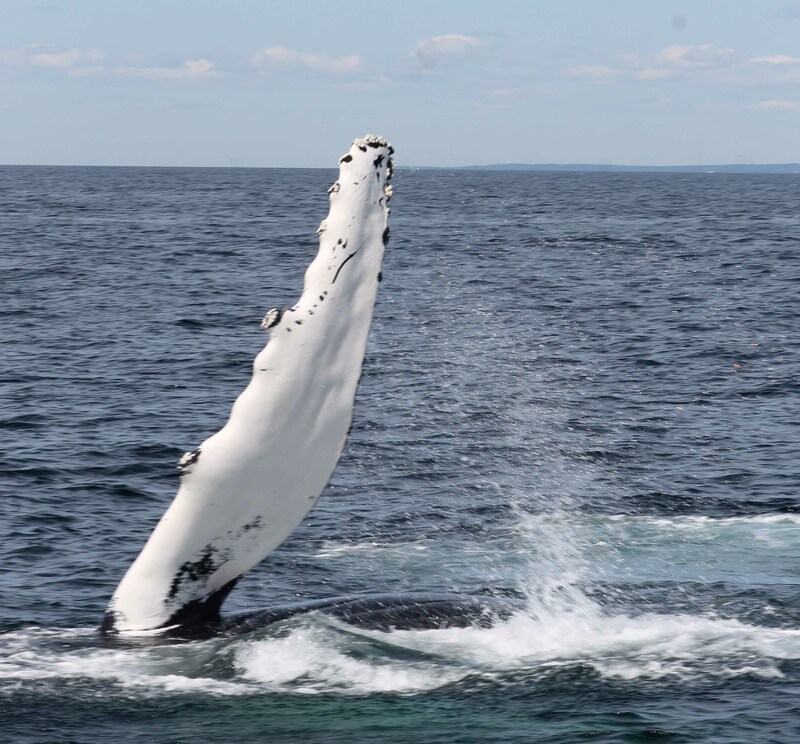 A different whale – a humpback whale – showing off their fluke as they dive below for fish. 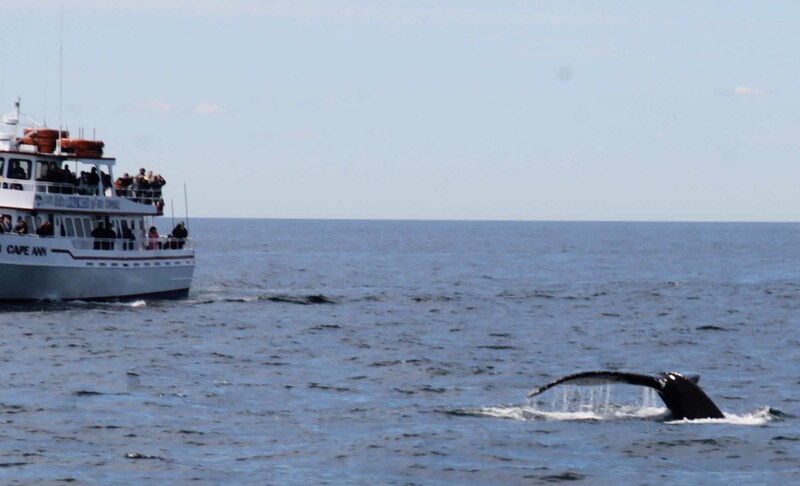 We definitely weren’t the only boat out there enjoying the sights! 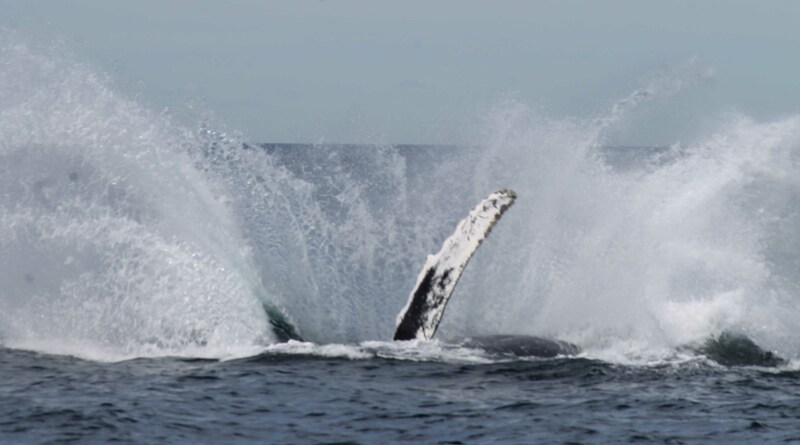 And I swear some of the whales were just showing off for the attention! We saw probably 10 or 15 different whales – only Diablo was super close, but the distance didn’t really lessen the experience! 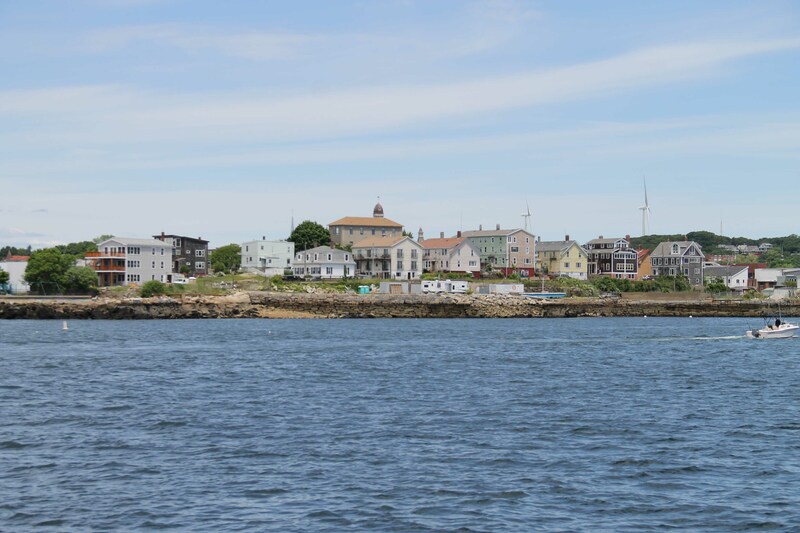 And finally, the picturesque town of Gloucester as we cruised back into the docks. 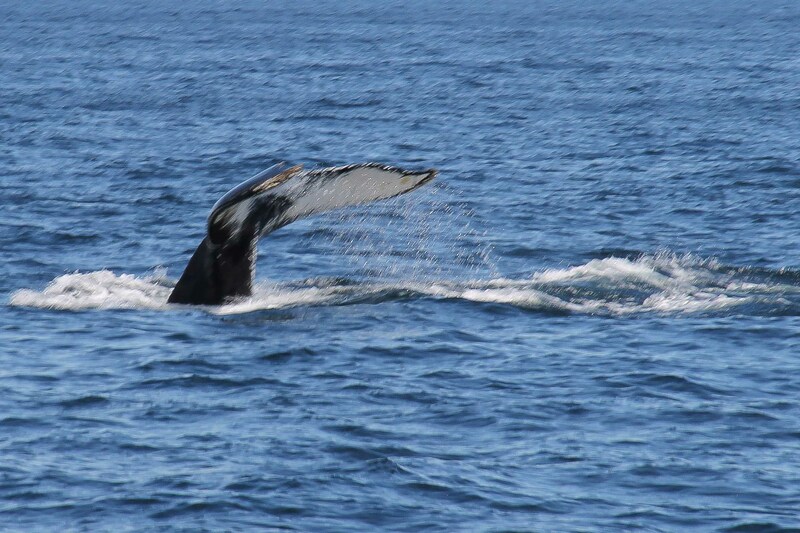 If you ever get the chance to go whale watching, I highly, highly, highly recommend it. There was plenty of seating and a ramp to get on the boat, so people of all mobility levels could go, and I can’t even begin to describe how majestic these whales looked in person, rather in my photos.